Forty-five years ago, Motorola unveiled the first-ever hand-held mobile phone. At 1.1 kilograms, the device weighed the same as a bottle of wine. We were actually using these bricks to communicate. Oh how far we’ve come. It’s 2018 and phones are slimmer than pencils, cars are self-driving, 3D printing can create bionic limbs and robotics are saving lives. Of course, consumers aren’t the only ones benefiting from technological advancements. Smart businesses are experiencing incredible successes using tech. Are you? Looking specifically at the telecoms industry, we reveal earth-shaking technological factors affecting business that are gaining hype this year. Learn everything you need to modernise and stay agile. Do this and you can transform your business in insanely favourable ways. Today’s employees are demanding folk. They want to work remotely and use their own mobile devices. Should you pander to those needs? The benefits scream yes. Releasing employees from the office can turn them into happier creatures. It also allows you to shape a work-life balance culture which in turn attracts and retains employees. Allowing employees to work from their own mobile devices reinforces this freedom contributing further to employee satisfaction. However, used as telecoms for small business, the BOYD (bring your own device) policy has substantial issues. If employees are using their own personal mobile, how can employers monitor work activity? A great alternative is COYD (choose your own device): employees pick a corporate phone from a list you provide. This is where mobile device management (MDM)shines. MDM does exactly what it says on the tin. It gives businesses the capability to remotely manage and monitor employee mobile phones during working hours. So what? Well, through managing mobile activity, you can ensure employees are using the latest tech, are staying on track and remaining compliant. All the while enabling your workforce to enjoy the benefits of flexible working. The security of sensitive business data is also guaranteed so you’re not plagued by business-breaking concerns. 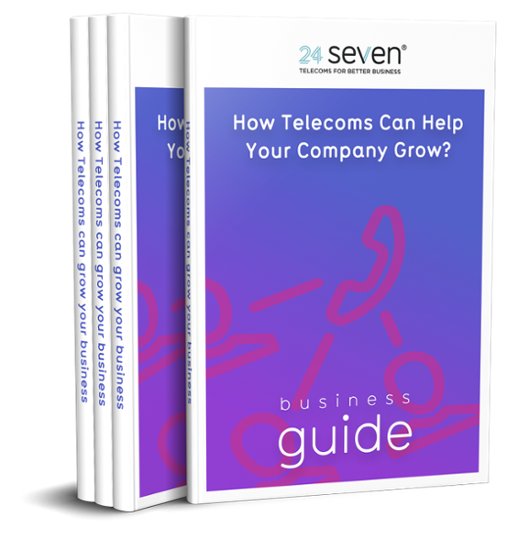 With these kinds of telecoms for small business, you’ll want MDM software that’s scalable too. So when your business grows, the system can accommodate new starters and snazzier devices. 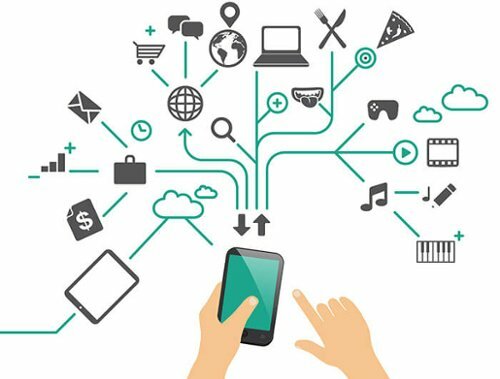 While MDM technology can be a pocket-emptying investment, trailblazing tech companies are making big waves to bring MDM functionality to small businesses. For example, computer software company VMware has recently paired with Dell to annihilate expensive subscription minimums. In this instance, advanced telecoms for small business won’t necessarily be a huge expense. Meanwhile, for companies that don’t have in-house IT-support, Microsoft 365 for Business has built-in MDM features that are super easy to use. For £15 a month, businesses can build fail-safes for lost devices, wipe them in the event of a security fault, automate updates and manage permissions. MDM could be an incredible power to harness if your staff prefer to work remotely. Keep on top of the latest advancements to ensure you find a solution that fits perfectly with your business to leverage its power. 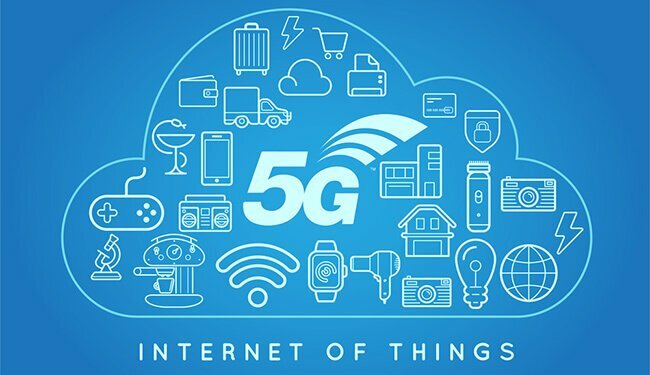 In case you don’t already know, 5G is a wireless connection built to give devices access to the internet. 4G is what we have now, 5G is the future of the network. It’s probably one of the biggest technological factors affecting business. With the potential to be 10x faster than 4G, 5G could make video conferencing so sharp you’ll forget there’s a screen between you. Exceptional sound and display quality will make business communication seamless. Advertisements and media could also be delivered via supercharged virtual reality. With artificial experiences more realistic than ever, you can create unforgettable customer experiences to catapult brand loyalty. We could also experience less latency than 4G – that’s the delay between sending and receiving data. In truth, it’s not that noticeable right now, but what if we apply it to future technology? The time it takes for a driverless car to communicate with a traffic light is critical; every second counts. 5G can drastically improve the functionality of smart buildings. Imagine if all the doors in your buildings had security locks connected to the web – you’d never have to worry about the locking up ceremony again. The awesomeness of 5G leaves us with a big question though. Are we ready? When 4G was rolled out, we were promised better coverage in rural areas. However, the county councils network recently revealed that more than two-thirds of England’s counties are below the national average download speed of 45 Mb per second. Ofcom has promised to “ensure widespread improvements in mobile coverage across the UK” but this doesn’t apply to 5G. So where does that leave businesses? The fate of 5G in the UK lies with mobile network providers. For it to be a fruitful endeavour all the money that’s gone into 5G technology needs to be paid for. So 5G is going to cost the UK a pretty penny (£150 billion, in fact). When it’s eventually rolled out in 2021, businesses will need to invest in new phone contracts if they want to unlock 5G benefits – no existing mobile devices can currently handle the millimetre wave frequencies 5G uses. That doesn’t mean that all businesses shouldn’t plan for 5G integration, though. Getting savvy with a network carrier’s wireless roadmaps will help you stay in the loop and jump on opportunities as they arise. They’re never long enough. They tangle easily. The make our offices look messy. Life would certainly be better without them. When wireless phones, remote controls, speakers and the like landed, we implemented them into our lives in as many ways as we could. No doubt when wireless chargers become mainstream we’ll be doing the same. These chargers require two coils of wire – one secured in the charger itself and one in the device. When both objects are close together, they create a current that develops fluctuations within an electromagnetic field from a specific area (a charging pad, for example). And voila! The charger gets the power it needs to work wirelessly. There are obvious benefits to wireless charging: ease of use and safety (you’re more likely to get an electric shock from a plug-in charger than a wireless one). However, as with any new tech, there are room for improvements: the output of heat is higher, they cost more and devices with lower frequencies will take longer to charge. But that shouldn’t stop you from getting excited. Face it, you need wireless chargers in your life but does your business? Justifying whether it’s worth the investment is entirely down to you. If you want an idea of how big companies are using wireless chargers to evolve, take a look at Ikea. The famous retailer has added a huge range of products that have wireless charging capabilities. With the hype around smart homes, it’s clear that the technology goes nicely with furniture. Wireless chargers have become magnets for big investments from powerhouse companies – Ossia, PowerCast and UBeam to name a few. Further down the road, these devices could do incredible things for large businesses. For example, over-the-air charging is set to work for industrial ultra-low power applications (devices that use the IoT like inventory trackers and worker management devices). Powering these devices without effort could save precious time and enhance productivity. This could make charging electronic devices at work seamless. While the technology is still in development, staying in the loop for when it reaches maturity could net you business boosting benefits. Sure, you could turn a blind eye to future tech but you might miss out on some awesome opportunities. Enhanced productivity, worker satisfaction, flexibility and profit could be yours for the taking when modernisation is your priority.